Blog Buying list for 2017 - did I stick to it? Buying list for 2017 – did I stick to it? Do you remember my post Buying list for 2017? Last year I decided to prepare a buying list for the year and try to stick to it. By the way, should it be called buying or shopping list? I went back and forth on this one. Let’s use buying. Anyway, year has passed and today it is time to review the list and see how I did. Heads up: there will be a buying list for 2018 too because I quite like the idea of buying less and the list definitely helps in this regard. It just makes you think twice before any unplanned purchases. Let’s review the 2017 buying behaviour and try to get myself a grade at the end. Chukka boots have been on my “list” for a very long time and to be honest they still are because I “failed” in 2017. I haven’t bought them in the end. 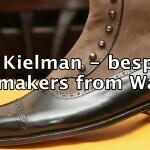 They are very practical, especially a pair on a rubber sole or leather/rubber version. The Tribune model by Meccariello is truly beautiful with bevelled waist, high quality suede, handmade in Italy for 550 euro. On the positive side I have to admit that I did not buy any shoes this year. I am using my snuff suede semi-brogue Carmina pair a lot. They need to have the heel repaired but otherwise a very good purchase few years back. It is made on the leather/rubber sole that is very durable and excellent for all kinds of weather conditions. 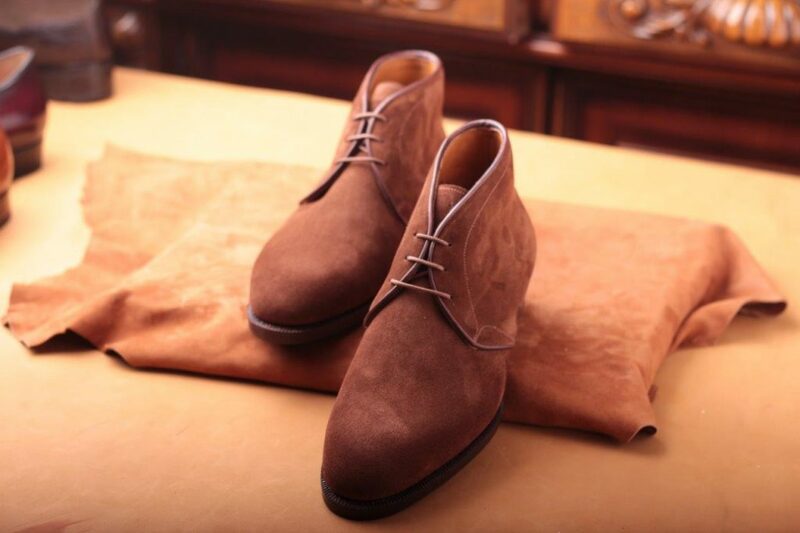 Suede chukka boots by Meccariello. 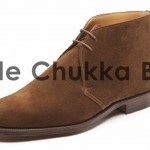 Also, it is worth adding that I actually ordered a bespoke pair of dark brown suede shoes but its not a chukka boot. So it might not be a total failure after all. I shall share more info about it when it is closer to be finished but I will let you be a judge whether it’s ok to assume I failed or not. This one should not be as bad. First I have to say that I own many outerwear items and I feel like I don’t have enough opportunities to wear them all. So I should be careful in any purchases of this kind and think them trough. 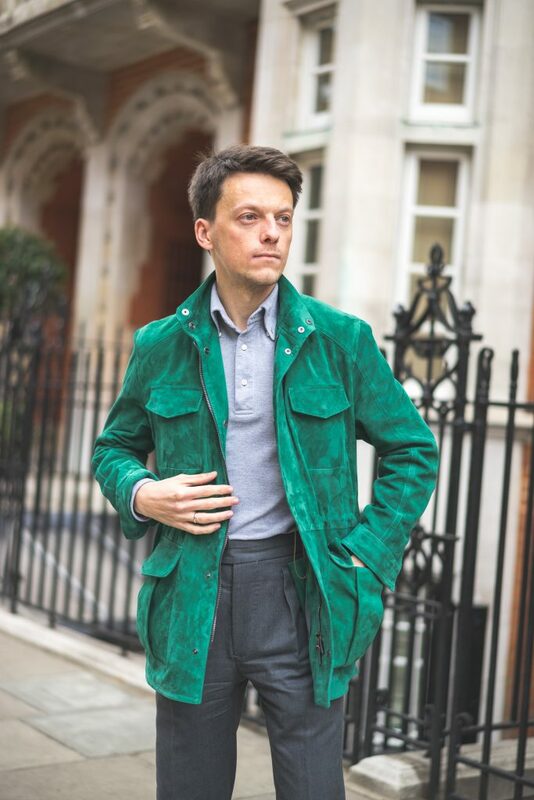 I did buy a suede jacket, as you know, but it was a mint green MTM field jacket by Stoffa. I will be honest, I absolutely love it, I have no regrets whatsoever and almost feel like I don’t need any more suede jackets. 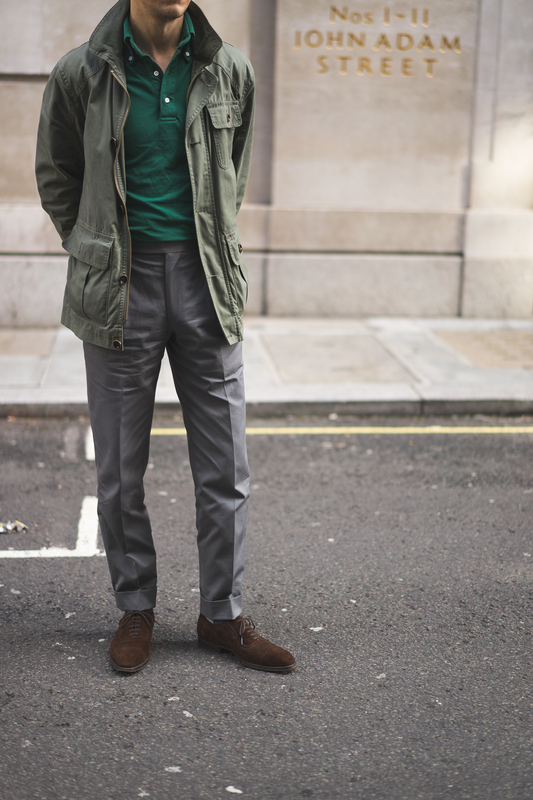 However I really want a bomber too mainly because it is quite different in style. You won’t be able to wear it over a sport coat/jacket like the field jacket so it is definitely more casual. I’d love that as I could wear it with jumpers and t-shirts and maybe the above mentioned Chukka? Ok. It seems I am not doing too well with sticking to the list so far but let’s continue, we have at least 3 more items left. I did not order bespoke navy suit and many of you will open your mouths and be surprised but let me be honest: I do not own a navy suit yet. This point on the list should count as double FAIL then, shouldn’t it?! However I did order a striped navy summer suit from Francesco Guida, which is the closest thing to the point on the list. This would have to go to my Buying list for 2018 then. 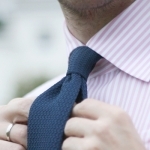 It is very much needed, it is a classic piece and while relatively formal nowadays it is a must. There is no discussion. If I decide on a tailor then it will be my only bespoke order this year, promise! 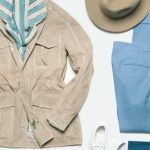 Any thoughts on the tailor you would like to see being reviewed? Did I buy any single item from this 2017 list at all? I did not get the vintage field jacket either. I probably feel like my trust worthy Marks&Spencer one is good enough and there is no need to spend money on new one. It seems like it will be serving me very well. One thing I don’t like is the length and while I do not wear it here in Copenhagen during winter at all, it still bothers me in the back of my head. The decision is then, that some day I will upgrade it to the original model but maybe not soon. BTW I also purchased MTM trousers from Stoffa as something extra that was not on the list. 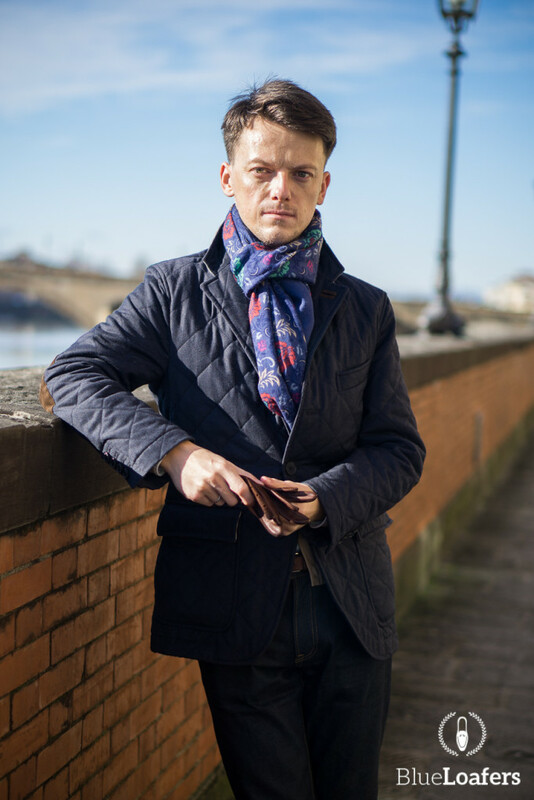 Colourful scarves (see Drake’s or Liverano) are items that I wear all the time in winter. It is probably one thing that I wear the most. Partially because I only own one lightweight scarf like this but also because it is perfectly my style and is one of my favourite purchases ever. I’ve always wanted one and purchased it during my very first Pitti Uomo trip to Florence about 3 years ago. They are not very heavy around the neck (which I don’t like) but add enough volume to be warm in continental climate. When I moved to Copenhagen it made me also reconsider some of those items in exchange for cashmere scarf that is much warmer. It is already end of January so maybe I can get away with not buying it this year. It wasn’t expensive back then, I got mine at Gutteridge, so maybe I should get, as planned for 2017, another one this time in green or brown colours. Let’s assume it is still on the list. make use of the green gun club check fabric – PASS !! At last there is a clear, 100% PASS for me. Doesn’t matter if it was on the bench of the buying list. It counts because I did exactly that, I had a beautiful sport coat made by the great Sartoria Solito. I did a post on it here so please check it out. Now let me explain the 50% here. I did not by any pocket squares this year, however I sold quite a few squares that I haven’t worn in many months. Because the whole point of the list is to buy less I think we can all agree that selling items I dont use in itself is worth half of the fail. I still need to sell more of those printed, colourful pocket squares I dont wear and then I will be able to justify a new plain ones. After coming to Copenhagen for work I found myself wearing much more casual clothes. It is both because of the more relaxed dress code here in Denmark but also because of the weather and commuting on a bike. The only scar on this beautifully looking “PASS” is a fact that I did not get a sleeveless cardigan but a long sleeve version. In fact I did buy two pieces. Both are from one of my favourite brands – Uniqlo. One is a lightweight merino wool in cream and the other in grey cashmere, which is fantastic. Of course, Uniqlo beats everyone in terms of value so I am very happy with those and easily assigned myself a PASS for it. What do you think about my assessment? Do you agree with the grades? What is on your buying list? I am now thinking about the Buying list for 2018 so expect it in the next week or so. Thanks for reading!